Imagine a rope. A long piece of rope, but not too long. It’s hanging from the middle of ceiling, with one end wound up into a noose big enough for a person’s head. It’s design is not to dissimilar from the kind that ties down ships to harbours, to make sure that they don’t float away into the ocean. Imagine, then, standing on a chair right underneath that noose, before slowly putting your head through it, then kicking the chair and feeling the life slowly, but surely, go out of your body. It is a slow dip into the journey to death, passing along emotions such as ‘depression’, ‘anger’, and ‘frustration’ along the way. Very, very…very slowly. That is what watching ‘Nobody Knows’ is like. That’s not to say that it isn’t any good. Far from it; it is a masterful film, one of the very best I have seen in a very long time. You don’t even realise that you spent over two hours of your life o this movie. Very slow, yes. Nevertheless, the speed with which things proceed allows for the story to progress naturally, with all the little details coming into a life of their own. Much like wine, then, ‘Nobody Knows’ ages into a fine, fine experience. On a personal level, it also comes with tripods, which is welcome relief after roughly ten hours of handheld camera work. 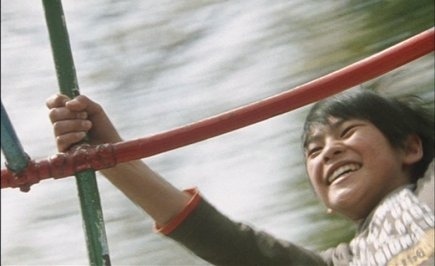 The film tells the story of Akira Fukushima (or Fukushima Akira, as the convention appears to be in the film) who moves to a small apartment in Tokyo with his mother Keiko (You). 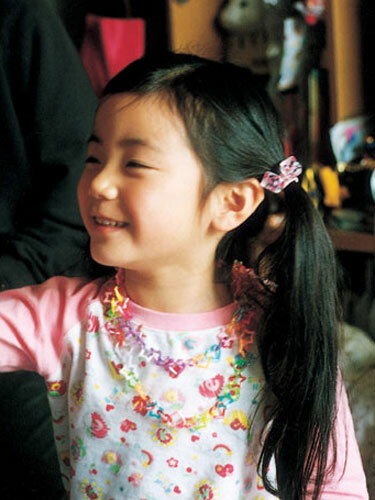 We don’t know where he’s from, but we do know that they’re not the only ones in the apartment; smuggling in his younger siblings Kyoko (Ayu Kitaura), Shigeru (Hiei Kimura) and Yuki (Momoko Shimizu), without the knowledge of the landlord, the film’s opening shows a happy family living together. Soon enough, however, things fall apart at the seams. Keiko, for reasons not completely known until later, has a tendency to go missing for lengthy periods, lasting initially days and weeks, before growing into months. The film’s title reflects the fact that nobody knows about the children: advised against going outside at all times, nobody sees them. In fact, in many ways, they don’t even exist, since it becomes clear that they did not go through the formal procedures one would get at birth. Hence, they can’t attend school. The father figure (or should I say, the father figures, since their mother had them with different men) is completely lacking in this film. As the older sibling, then, Akira takes the lead in ensuring that things keeps on ticking smoothly in the household (but then again, he is the only one allowed to go outside by their mother). He is responsible for paying the bills on time, using the money that his mother left him, and also makes sure that food is constantly on the table for his siblings. When the money runs out, the onus falls on him to keep that clock ticking. He meets his father(s), all of whom turn out to be deadbeat, no-good, irresponsible men who shirks their duties. Koreeda san also has a tendency to let us step on the carpet, with both feet, before yanking it away from under us. He surprises me at times with the progression of the plot, and not unpleasant it was too. There is Kyoko, standing on her tiptoe, looking outside the window to people talking and playing with dogs. “Ah,” I thought to myself, “what a good way to show her desire to go outside. Great way to contrast their situation with those of others as well.” Before I finished that thought, though (hanging somewhere around “great way…”), the people left, the streets become empty…and then she steps outside unto the veranda (where the washing machine is) to do the laundry. He also pays close attention to the details, and attaches much meaning to the littlest of things. 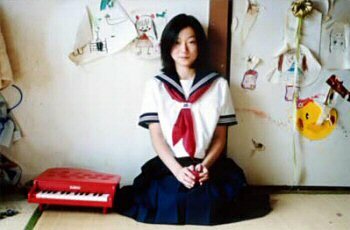 Early on in the film, Keiko spends some time with Kyoko, and paints her nails red. It is a rare moment of intimacy and closeness between mother and daughter. Later, as Kyoko is playing around with the nail varnish herself, she drops it, leaving a mark on the carpet. “What are you doing?” her mother scolds her. Playtime’s over. 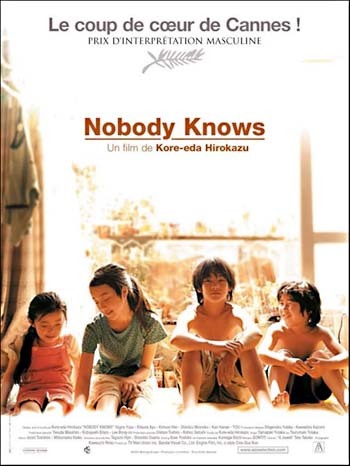 ‘Nobody Knows’, then, is a film that challenges the innocence of children, embedding within them the adult qualities missing with the adult characters. It is a credit to the children that the maintain their positiveness for long periods of time. Akira, for the most part, did not complain of his predicament. Even his questions and demands of his mother to be more responsible were carried out politely and respectfully, rather than with expressed anger. This controlled performance, then, is testament to Yuya Yagira’s talent. It is easy to overact or underact even for those with experience; his portrayal of Akira, set against this, was incredible. The rest of the cast was well cast as well, with You’s slightly high-pitched voice making her even more childish as the children’s mother. What more harrowing, however, is the fact that these events are based on a true story. A quick look up in Wikipedia reveals this much and more, and this movie seems positively tame compared to reality. 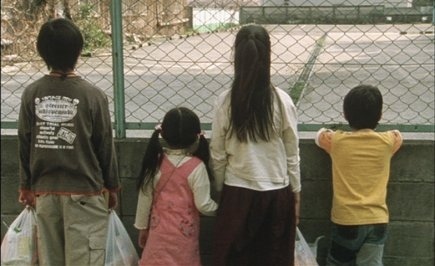 It is a good job, then, than Koreeda san didn’t make things any more depressing. With the hanging depression that the movie can be, it didn’t need to be any more. nobody knows is one of the most beautiful movies I had ever seen. Too right, mate. I’m using it and Edward Yang’s ‘A One and A Two’ as references for my graduation film.